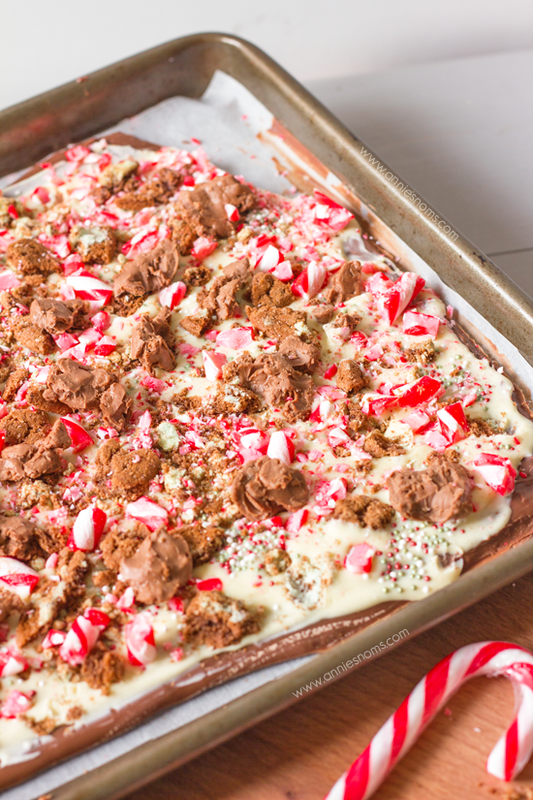 This Candy Cane Truffle Bark is so fun and would make the perfect gift this Christmas! 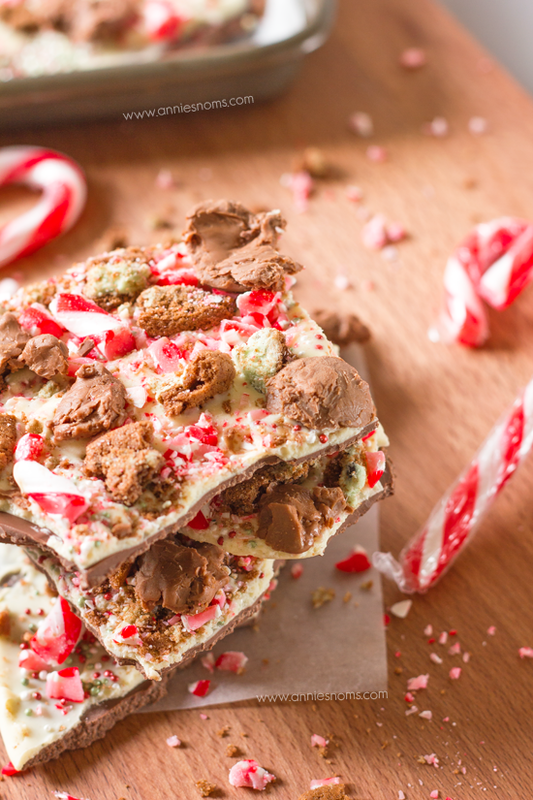 With layers of milk and white chocolate covered in crushed candy canes, mint chocolate biscuits and Lindor truffles, it’s so easy and tastes great! Today friends, we are talking bark. 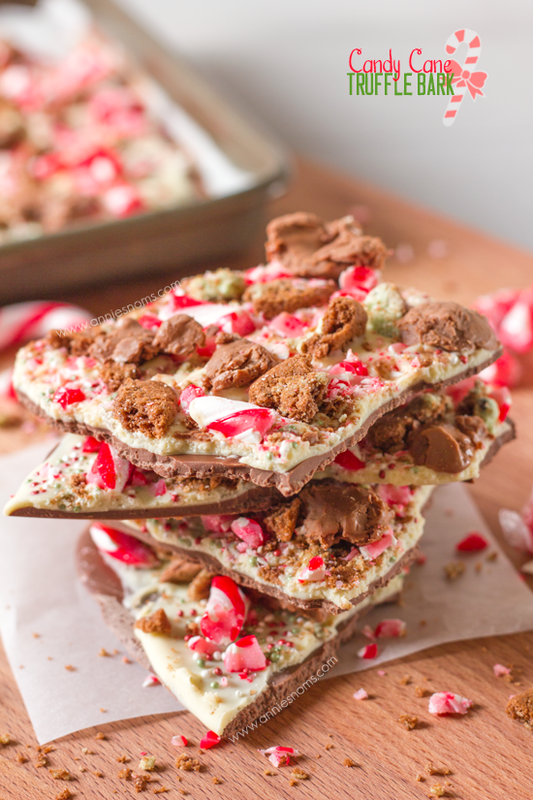 More importantly bark with a layer of milk chocolate, then a layer of white, then absolutely covered in crushed candy canes, holiday sprinkles, mint chocolate biscuits and smashed Lindor truffles. Those truffles that absolutely melt in your mouth? Yea. Those. Also, can we talk about how hard it is to find red and white candy canes in the UK this year? If you know someone who is hoarding them all can you let me know? Thanks. I went EVERYWHERE! I either found red, white and green ones or none at all, with no gaps for them. And then there were fruity ones. Fruity candy canes?! WHAT THE HECK? I didn’t want red, white and green ones. I certainly didn’t want fruity ones, I also didn’t want to spend £15 on a pack of 12 (online prices…) so I had to go to my least favourite shop ever. I’m not even going to say which one as it’s embarrassing. The things I do for my blog. OK, so what about these layers? I melted down 10oz of good quality milk chocolate, spread it over a lined baking tray and then had to wait for it to set. This step is actually really important. Yes, I kept picking at the sides, but if the chocolate is wet when you add the layer of white chocolate, you’ll end up with a huge, albeit, tasty mess. Once the milk chocolate layer is set, I melted down some white chocolate then spread it over the milk. The only thing left to do after that is go mad sprinkling all your toppings everywhere. 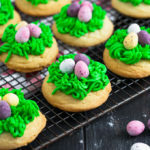 For this recipe, I chose a combination of candy, chocolate and biscuits – the biscuits I used were new in the supermarket, but they were called Mint Chocolate Crunch Creams by Fox’s – I figure they are the closest thing to Mint Oreo’s we get in the UK, so if you’re in the US, feel free to use Oreo’s! There is something you should understand about my bark recipes. They are over the top, jam packed with toppings. Life is too short to be stingy with your bark toppings. 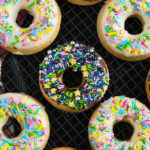 It adds a smooth texture to the mad crunch of the toppings. And then… every so often you get a melty bit of truffle and it just pushes you over the edge. Insane. Awesome. Delicious. 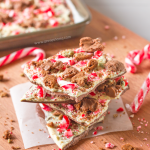 The only bark recipe you need this Christmas. I just love how simple bark is, yet it looks amazing and would make the most perfect gift this Christmas! Who wouldn’t love to find a jar full of this bark, with homemade labels and a little ribbon around the top under their tree? Nobody has to know it’s from me to me? 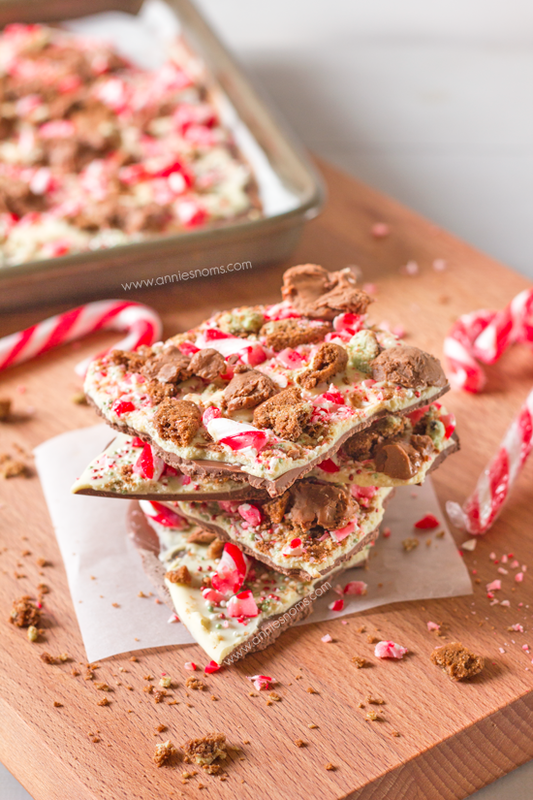 This Candy Cane Truffle Bark is so fun and would make the perfect gift this Christmas! 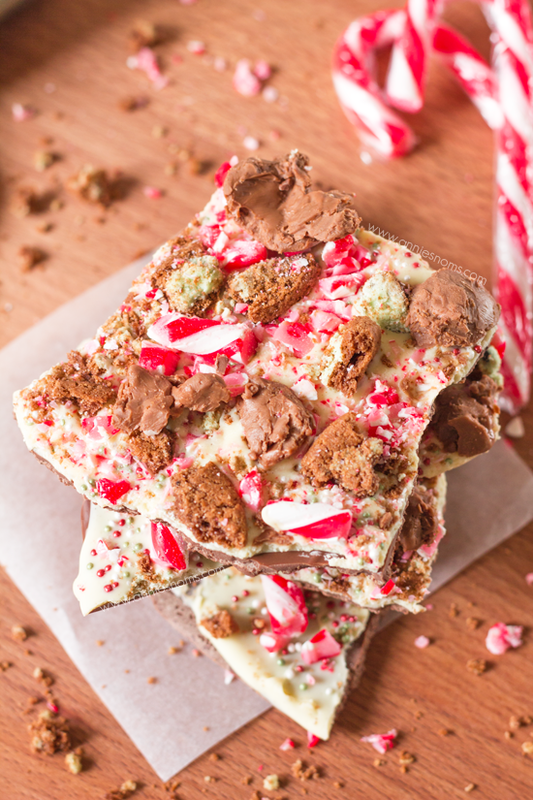 With layers of milk and white chocolate covered in crushed candy canes, mint chocolate biscuits and Lindor truffles, it's so easy and tastes great! Line a large baking tray, then pour your melted milk chocolate onto it. Spread into a thin, even layer. You want it just under 1/4 inch thick. Leave to set completely, you may need to place it in the fridge for it to harden properly. 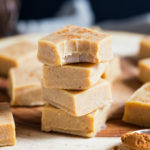 Once set, pour your melted white chocolate over the milk chocolate and spread until you have entirely covered the milk chocolate. 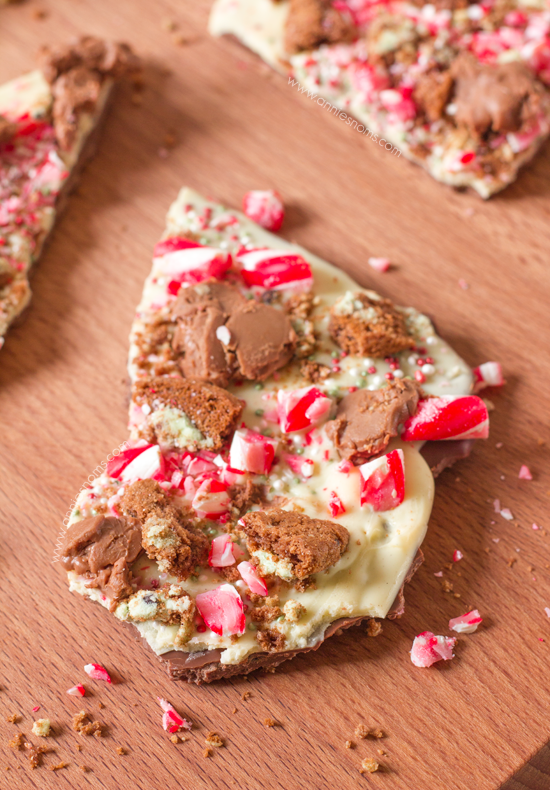 Ensure you have measured your toppings after crushing, then sprinkle candy canes all over the melted white chocolate. 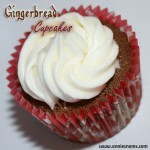 Follow this with the holiday sugar pearls/sprinkles. Finish off by crumbling the smashed Lindor truffles and crushed biscuit pieces. Press toppings into the chocolate ever so slightly, so they don't fall off. 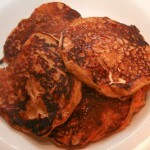 Leave to set completely (again you may want to put it in the fridge for 30 minutes) before breaking into 12-14 pieces. Bark will keep in an airtight container, at room temperature, for 5 days. Annie, these look really awesome! I love the fact that it took you 10 hours to unwrap and 10 seconds to smash. 🙂 I know exactly what you mean! 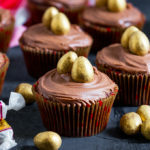 Anyways, just saw this on Magic Recipe and want to make this now! 🙂 Happy Holidays to you!! 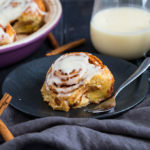 WOW that recipe is amazing!! This looks awesome!! So happy to see you at last week’s Found & Foraged! xo! !